Our next round of updates will be coming with our 5.1 Update on January 31st! As you all know, we continuously make balance adjustments to our Bots and Mods in order to maintain a place where every Bot and Mod has a place in the game, and that no single Bot or Mod is the single answer to any content. This build will see broad buffs to statistically underperforming bots like Shockwave, Ultra Magnus, Galvatron, Sideswipe, Arcee, Ramjet, and Dinobot. These buffs will be accompanied by a few smaller bug fixes to abilities as well. Using data compiled over the last few months and anecdotal evidence provided by our fans we investigated the perceived weaknesses of almost every bot in the game. In some cases we were surprised, in others, our suspicions were confirmed. Once we determined our underperformers we went about establishing the breadth of changes we were going to have to make to each character. Some characters required a simple re-tuning while others (well known to the community) needed larger, more disruptive changes. Even within these larger improvements we tried our utmost to maintain the feel and gameplay patterns that fans of those bots had come to understand. We are pleased to say that most of our improvements found their way into the game in this patch. We will be further monitoring the performance of these bots and the impact they might have one the meta. Stay tuned for more improvements and give us your feedback on the changes. With Galvatron we wanted to keep his playstyle feeling different but we wanted to bring his tuning in-line with the performance of other bots. To that end we quickened his charge time and made sure that players felt rewarded for going through the effort of becoming fully charged. - Dark energy charge time reduced by 50%. - Base Projectile Damage increased by 30%. - Gained 20% Block Proficiency. - Increase Dark Burn damage by 20% at all levels. - Sp1 Stun Chance increased to 60% when fully charged. - Dark energy charges are locked for the duration of Special 2. With Ramjet we felt a lot of his perceived weakness came from the unreliability of triggering his Stuns. We relaxed all the timing and chances to trigger his abilities and also addressed the self-Stun he triggers with his Special 3. - All Burns last 20% longer. - Stun duration increased by .5 seconds on each Stun. - Special Bonus buffs from Momentum each reduce the duration of Stuns on Ramjet by 10%. Dinobot needed some light improvements to better reward playing to his strengths. Improved Block Proficiency, more potent Bleeds and finally an improved Synergy with Mixmaster should increase his usefulness outside of the Swordmasters synergy. - Well-timed-blocks have their Block Proficiency Increased by 30%. - Bleeds inflicted by Dinobot’s Heavy Attacks can now stack. - Shieldmasters synergy with Mixmaster has had its Block Proficiency reduced but the synergy now inflicts Power Burn on the opponent when performing well-timed-blocks. Sideswiped lacked damage output so we went in and gave him some bursts of damage and increased the chances for him to land important hits. - Increased Power Gain when Sidestepping Ranged Attacks by 20%. - Increased Stun duration by .5 seconds. - Evasion strength increased by 20% (of current). - Special Attack 2’s Missile now inflicts Burn, dealing 60% of his Attack over 6 seconds. - Special Attack 3’s Missile now inflicts Burn, dealing 80% of his Attack over 6 seconds. Ultra Magnus’s Signature ability and lack of burst potential have hampered this important bot for a while. He’s been given a new Signature Ability that does not change in strength from mode-to-mode and his special attacks have been given more burst potential. - Hammer blows in Ultra Magnus’s Special Attacks will now remove all Armor Buffs on the opponent and convert every buff removed this way to an Armor Break. 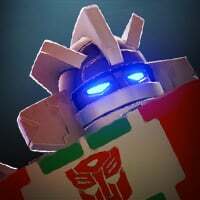 - Ultra Magnus’s Special Attack 2 gains a 5% Melee Bonus for each active Physical Resistance Buff and a 5% Ranged Bonus Buff for each active Energy Resistance Buff on Ultra Magnus. - If more teammates are alive than dead, Ultra Magnus gains +20% Physical Resistance. If more teammates are dead than alive or tied, Ultra Magnus gains 20~80% Attack Rating. If all teammates are dead or Ultra Magnus is alone he gains both effects. Shockwave is one of the most terrifying forces in the Transformers universe, but data suggested that this was not true on New Quintessa. With our findings in hand we set forth to push Shockwave into power-control territory that would compete with the most potent controllers in the game. We also felt it was important to keep some consistency with his old playstyle but better reward players who play this way. - While Shockwave has fewer than 3 Energy Charges he takes no damage when Blocking Basic Energy Attacks. - Basic Ranged Attacks have a 100% chance to consume a Shock Charge to inflict Shock on the enemy. - Shockwave Power Leaks the enemy for 1.5~2.6% of a Power Bar every second for each Shock Debuff on them. - Shockwave’s Special Attack 1 now Generates 3 Energy Charges before firing. - Special Attack 2 loses its ability to generate Energy Charges but now has 100% Armor Piercing. 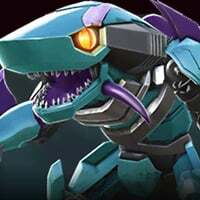 - Shockwave’s Brain Drain synergies now increase the strength of elements of his kit like Shock duration and strength, Power Drain strength, and Energy Charge Duration. While we were looking for ways to improve Arcee’s damage output we found that she had some hidden abilities that, if exposed, might help Arcee players find those critical hits. We also found that many of her Bleeds had a one stack limit, this has been removed. - Arcee’s hidden ability to gain 30~50% Crit Rating against Dashing opponents has now been exposed. - All of Arcee’s Bleed effects can be stacked multiple times. - Hot Rod now generates Crit Rate Buffs during his Special Attack 3. - Rhinox’s Shield will no longer punish players with Boosts, Relics or Masteries that raise their bot’s Base Attack Rating. - Grindor now displays his 17% Passive Armor ability on his info page. This is not a new ability, but just a change to surface Grindor’s innate powerful armor. Yeah I was gonna say... a lot of these changes are great for the bot's base abilities, but now you might need to consider changes all over the place to AM mods to compensate. Does this work against mod induced armor breaks? Also, I have never been clear on the impact of multiple stacks of armor breaks. Does it take several stacks to fully remove a bot’s armor? Does this include the counter punch mastery? This gives no context since we still have no information about other bots passive armor. Are we to assume they all have 0% unless otherwise stated? Lastly, I am surprised that you did not look at synergies. Some bots have really great synergy potential while others do not. The ones that don’t tend to get left behind. Are you going to be reviewing these as well? -50% charge time for galv is gonna be so badly abused by the ai on AM, and will activate his sig more often. While it's nice to see changes on him, would you guys atleast look at his ai, the damn thing is like a monkey side stepping any time you move an inch closer. Please look into this, many have asked for this to be reviewed. While we were looking for ways to improve Arcee’s damage output we found that she had some hidden abilities that, if exposed, might help Arcee players find those critical hits. I think that, for the most part, these changes are great and will help these bots perform better when being used by the player. However, this 1 line caused me to raise an eyebrow. "Hidden Abilities"? What does that even mean? Do other bots in the game currently have "hidden abilities" as well? The implication is that this ability has been alive and active in the game for some time, but that no one knew about it...which just seems odd, and confusing and makes me think that there are other bots with other hidden abilities that players (and apparently the people running the game) are unaware of. Galvatron is one of the easier minibosses... I flat out Murder him with my Soundwave. (Soundwave's heavy isn't avoided by sidesteps) MM and Starscream are the hard ones. No offense but it all depends on the level you are doing. At the level I'm at, SW is awful on Galvatron because you're pushing yourself in to Energon Storm so quickly, and it hurts a ton at higher levels. I'm not trying to say play higher levels otherwise your opinion isn't valid, just simply that perspective of who is hard changes a lot once certain factors start to kick in. It's just like how Rhinox is simple at lower levels, but once his shock starts to hurt you have to approach him differently. I though level only effected the bots' ratings, not the mods... What I'm saying is the mods on Starscream and MM are what make them the hardest, so, imo, level wouldn't have an effect. Lvl 1 MM > lvl 1 Galvatron... Lvl 25 MM > lvl 25 Galvatron. Anyways, they are making 1 miniboss from each side more powerful, so at least the two sides stay pretty much as even as they were, maybe just a bit harder. Not saying I'm against them re-evaluating the strength of those two minibosses, just saying I don't think Glavatron is anywhere near the worst of the 6. What's energon storm exactly? Is that the mod that's on him's name? Yeah, I haven't played over AM lvl 25, so I can't for sure say what a 25+ Galvatron is like, but haven't had a problem with him yet up to there. As you go up in level, the AI gets harder. It’s not just the bot ratings. There are certain levels where you can tell the AI went from easy to medium or medium to hard. I’d say that’s the point where one bot with same mods can suddenly become harder than another. I tend to have more problems with motormaster than with galvatron, but that’s due to device lag (ever since Apple updated the IOS to 11+, game performance massively suffered). I can’t see the unstoppable procs when they happen; instead I see the buff after it’s expired, resulting in lots of unfair damage. I want to point out that we added one more Balance change that came in pretty last minute. The reason we're doing this one is because of a really bad interaction it has with bots like Optimus Primal or Grindor, where their abilities suppress Critical Hits so often, that when the bonus is applied, the Bot using the Synergy does waaaaay too much Damage. This may have been a bad choice of words, and we could have made it more clear. This was actually a bug that we discovered, but decided that this was actually a positive, and wanted to just expose it. So, this might actually make Galvatron an easier Matchup. The reason that Galvatron plays so defensively right now is because he wants to Charge Up to full all of the time. This change should make him act less defensively, because he will charge faster. We'll be sure to keep a very close eye on that one encounter in particular, and can adjust if it's necessary. Seriously though, not surprised. The amount of damage you could generate was absolutely insane with just 3 of the swordmasters, particularly against Primal. Yes his charge up time is faster, but you also buffed him in many other areas. Just hoping you guys consider the flip side of buffs before pushing them through. Yes it’s nice to have more bots to play around with, but it really affects AM difficulty across the whole map, especially when boosting 2 mini bosses. These changes affect both ends of the spectrum. @Kabam Miike can we see the damage that the final blow does at the end of fights? Isn't it displayed as usual? What I see is once the enemy is KO'ed, all subsequent hits will be flatly calculated, without any buff/debuff. Like if IH's S2 kills the opponent with the first missile, the insane final one will look like a breeze. Can you clarify the Arcee ability about opponents dashing in. It’s not clear to me what’s going on for the activation. I think it means if opponents dash in and Arcee starts any attack, she has 30-50% increased chance to crit. - Shieldmasters synergy with Mixmaster has had its Block Proficiency reduced but the synergy now inflicts Power Burn on the opponent when performing well-timed-blocks." Im saying you can't see the killing blow anymore. So if I land a huge crit and it kills off the bot I won't know how much damage it does. Got changed when they fixed the bug that projectiles that landed on you after you knocked out a bot still did damage. Can you clarify on this @Kabam Miike ? 1. Do the melee and ranged buffs cancel out the particular resistance when using sp2 or do they stick around after you use the sp2? 3. Finally, do either buffs stack beyond 10 stacks? I think it only buffs the SP2 itself (one melee hammer and one ranged shoulder cannon shot). Otherwise, a permanent 50% attack buff can be insane. I like the changes. Even though people totally misunderstood the original sig the new one greatly improves AM usage especially if both teammates are dead and the attack % increasing with sig level. Overall great improvements to UM. 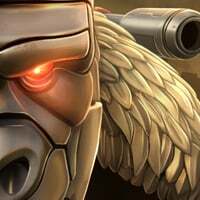 @Kabam Miike along with other concerns about bot Opponents what will UMs sig be when facing him? How will it calculate?